With the recent release of LEGO Rock Band, you're just going to have to get used to seeing names like Kelly Clarkson popping up in our weekly Rock Band update posts. We apologize. Not only does next week's Rock Band Music Store update bring six live tracks from Tom Petty and the Heartbreakers, it also gives us insight into what Harmonix feels is family friendly. For instance, "Refugee," "A Thing About You," and "Here Comes My Girl" are all available for LEGO Rock Band as well as the normal version, while "American Girl," "Even the Losers," and "Mary Jane's Last Dance" are not. 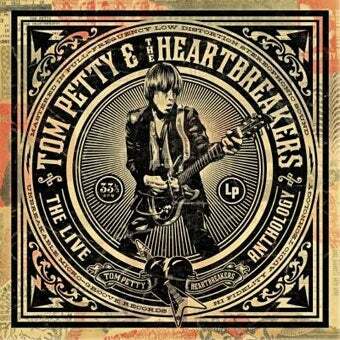 All of the tracks are from The Live Anthology, in stores November 24th. Kelly Clarkson makes her Rock Band / LEGO Rock Band debut with "Miss Independent,", rounding out a non-Petty, family-friendly trio that includes the Go-Go's "Our Lips Are Sealed" and Pink's "Who Knew." · Tom Petty & The Heartbreakers – "American Girl (live)"
· Tom Petty & The Heartbreakers – "Even the Losers (live)"
· Tom Petty & The Heartbreakers – "Mary Jane's Last Dance (live)"